Diamond Head Plaza! Quiet location from this corner-end unit w/ no neighbors above. Enjoy Diamond Head and tree top views. Updated unit features beautiful hardwood floors, updated kitchen w/ stainless steel appliances, new microwave hood, granite counter tops, and ceramic tile. The enclosed lanai makes this unit extra spacious. Low maintenance fees include cable tv, water, & sewer. Pet-friendly! Building amenities include swimming pool, BBQ area, and community laundry. Unit comes w/ 1 covered parking stall. Conveniently located close to Kapiolani Park, Waikiki Shell, beaches, eateries, and more! 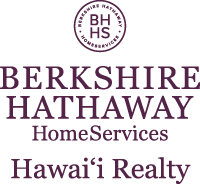 I am interested in 3061 Pualei Circle UNIT 303, Honolulu, HI 96815. Sign up for Inside AccessTM to view recent sales near 3061 Pualei Circle UNIT 303.